Study: Holocaust Fading from American Memory - Integration Through Media ....! 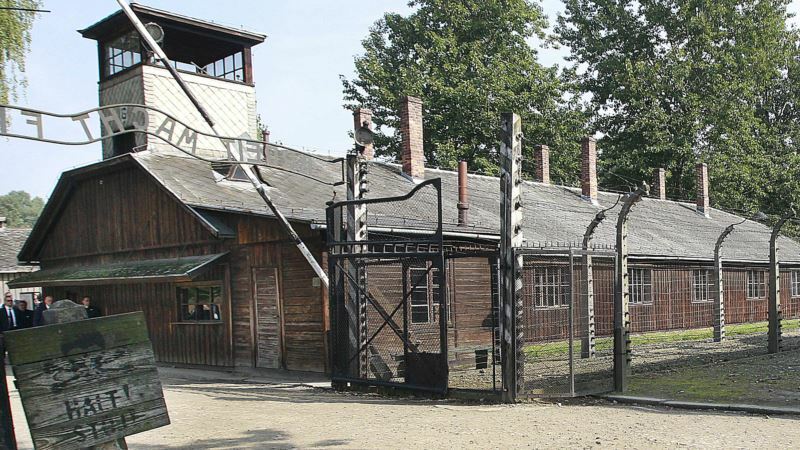 (VOA): As people around the world marked Holocaust Remembrance Day, once again promising to "never forget" the genocide that killed 6 million Jews during World War II, a new study shows Americans appear to be doing just that. The study released Thursday by the Conference on Jewish Material Claims Against Germany, found two-thirds of American millennials cannot identify what Auschwitz is. Twenty-two percent of millennials said they haven't heard of the Holocaust or are not sure whether they've heard of it. The study found that there were significant age gaps in knowledge about the Holocaust, with 22 percent of millennials saying they haven't heard or were not sure if they have heard of the Holocaust, compared to 11 percent for all U.S. adults. But even among those who knew about the holocaust, many were fuzzy about the facts of a systematic campaign of murder that killed 12 million people, 6 million of them Jews in Europe. According to the survey, one-third of Americans — the number rises to 41 percent for millennials — think that two million or fewer people died. With the youngest survivors now in their mid-seventies, the chance of hearing firsthand stories is rapidly dwindling. Two-thirds of Americans do not personally know or know of a Holocaust survivor. Despite the lack of historical knowledge, the survey found a desire for Holocaust education — 93 percent said that all students should learn about the Holocaust in school. The survey also found that most people believe there is still strong anti-Semitic sentiment in the United States today, more than 70 years after the Holocaust. Sixty-eight percent of U.S. adults said anti-Semitism exists today, and 34 percent said there are many neo-Nazis currently present in the U.S. Fifty-eight percent said they believe something like the Holocaust could happen again.